CTCS’s Trauma- focused Intern Training furthers the Alliance for Inclusion and Prevention’s existing collaboration with local university partners to increase the number of clinical interns who are being trained and supervised in the best methods to help students with traumatic stress. 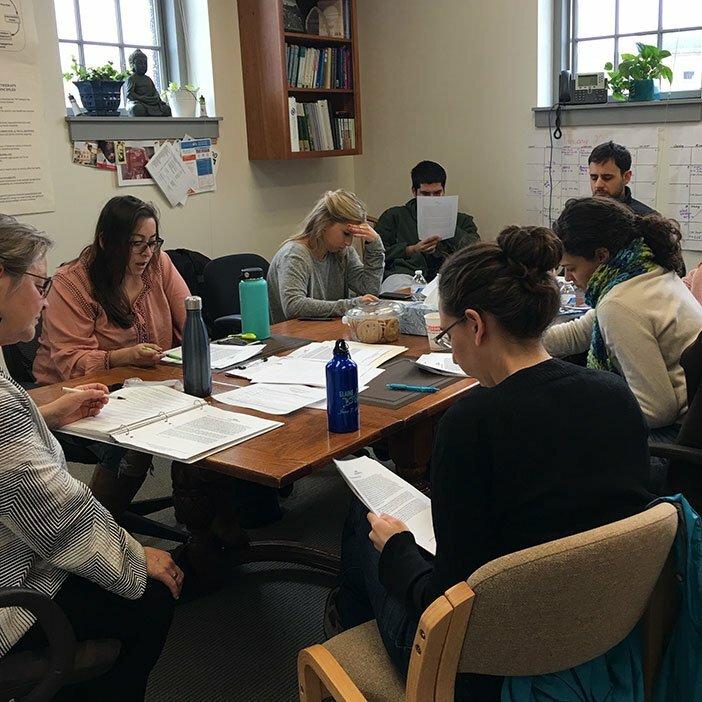 The program offers training, supervision and consultation in various evidence-based practices (EBPs) to MSW students and their field instructors, geared to treating childhood traumatic stress in school settings. The intern training program will develop a workforce with the range of skills and knowledge needed to shape trauma –sensitive school environments. Interns will receive training and supervision in evidence-based practices from CTCS trauma consultants. Training will provide an intern a comprehensive orientation to the district school system and school-based mental health counseling. The intern will be trained in a number of evidenced-based practices, including Motivational Interviewing, Trauma Systems Therapy, Core Curriculum on Childhood Trauma, Verbal De-escalation Techniques, that can be brought to a placement setting. Additional training in Secondary Traumatic Stress, Trauma-sensitive Yoga and Mindfulness will be provided. Interns and their field supervisors are offered training in CBITS (Cognitive Behavioral Intervention for Trauma in Schools), an evidenced-based, group trauma treatment designed for use in urban schools. Training in Bounce Back, the CBITS adaptation for elementary-aged students (K-5), is also offered. Attendance at these two trainings may total 12-18 CEUs and they are provided free of charge to field supervisors. CTCS provides support and trauma consultation to interns and field supervisors through AIP’s independently licensed clinicians. The trauma consultant offers support for the ongoing implementation of the various treatment modalities in which interns have been trained. The trauma consultant will assist the intern in preparing for two case presentations an intern will participate in using the one-hour videoconference case consultation/training. Trainings have been designed with the support of the graduate schools of social work and will occur on placement days in September and October. Upon the completion of the orientation training, each student will then participate in weekly one hour video conferencing calls, with a focus on trauma. Field supervisors are welcome to attend these sessions. Attend and participate on 80% of the weekly one-hour video conferencing calls. Make up assignments will be required for sessions that are missed. The Training Calendar for the 2018-2019 school year can be viewed here. One hour/weekly treatment tables, conducted by Skype, will combine training, case presentations, and consultation for trauma and related anxiety cases.